I have been experimenting with templates for the layout for my solo exhibition. It is 10 years since I graduated from ECA and I have created 3 new bodies of work to show my evolving art . Altered prints with Erasure poetry (what does that mean??? 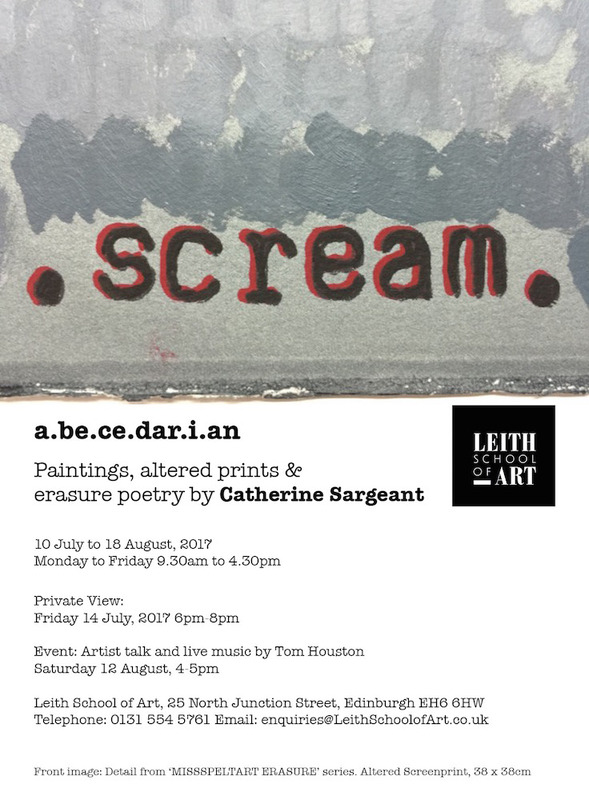 come and see to find out); a wall of ampersands and painted scrolls with letters falling, allowing the viewer to create their own words.